My girls love a good snack mix! 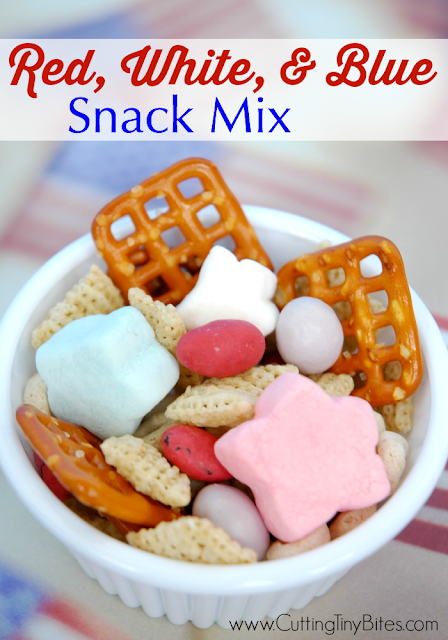 We made this snack mix as part of our Independence Day Theme Preschool Week. 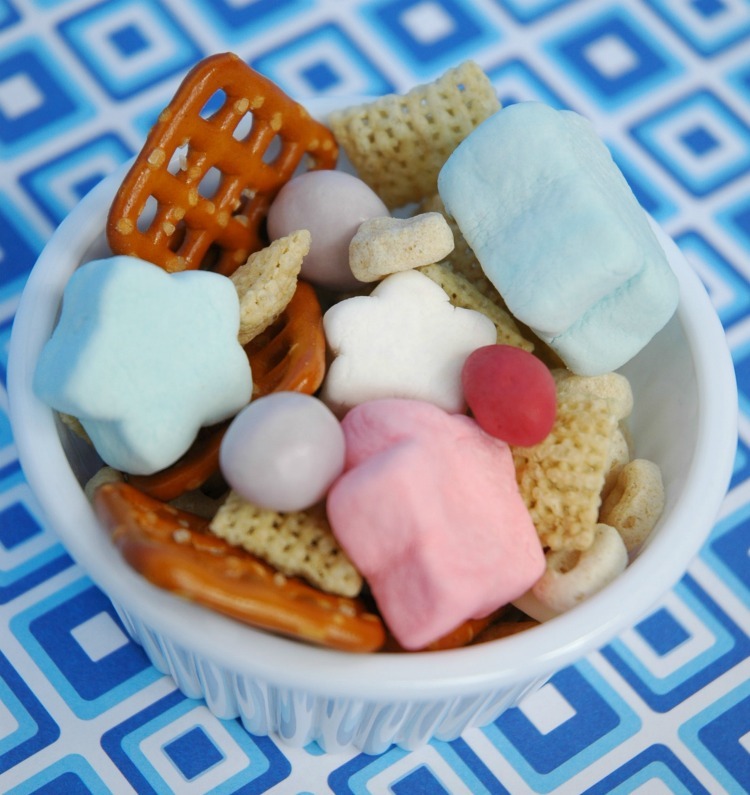 This Fourth of July snack mix may not be the healthiest, but I think its fine for a special treat. It's got some sweet, some salty, some soft and some crunchy. It would be perfect Independence Day party food! Mix it all together. Easy, peasy. 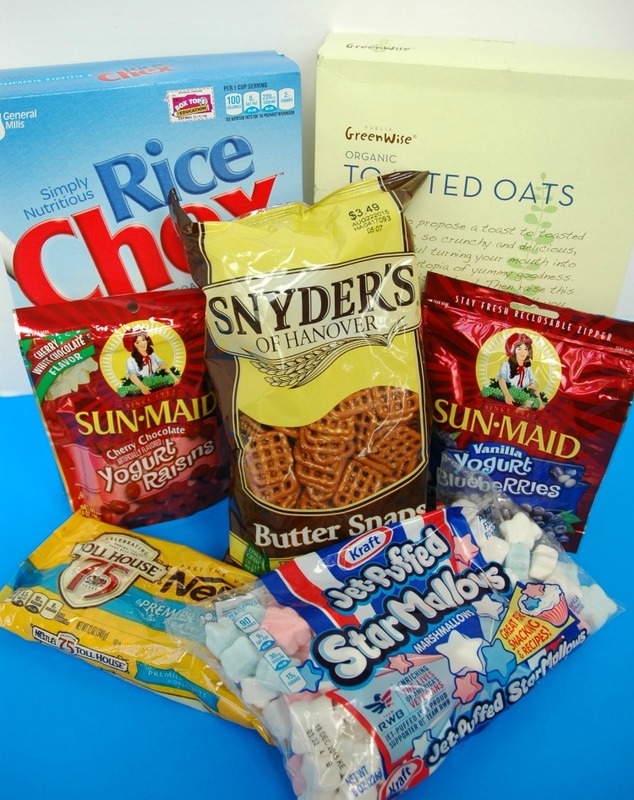 Snack mix for the Fourth of July. Great sweet and salty snack for kids!